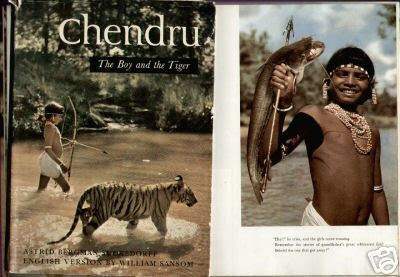 I would like to dedicate the blog to a tribal boy who brought our region into the limelight in 1960 and coveted “Oscar” came straightway to the lap of the Swidish director Arne Suksdorff for his short movie titled “Jungle Saga” which featured the tiger boy called Chendru Mandavi of Narayanpur. Well, all these became possible when a ten years boy called Chendru rescued a cub in 1959 and brought it home to reared till it fully grown up. This shot him into the fame as “Tiger Boy”. The 90 minutes film directed by Arne Suksdorff had made him celluloid star in Europe. He saw “modern life” in Sweden and dreamt of going out of his village to study. He remained in Europe for several months exploring the modern life there. Even the first Prime Minister Pt. Jawaharlal Nehru promised him to do something for him when he met with him in Mumbai ( then Bombay) but Chendru’s domestic constraints didn’t permit him to settle down anywhere else than his village. Who was Chendru : He was Chendru Mandavi by name. 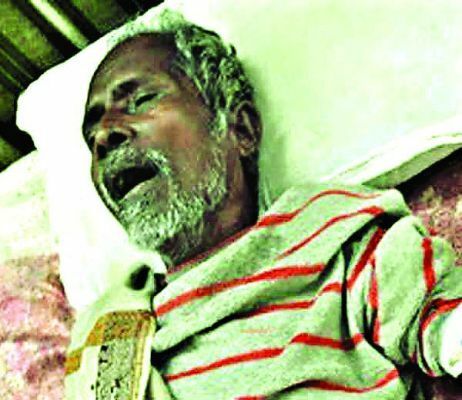 He belonged to “Muria” tribe and was living in Garh Bengal in Narayanpur district of Chhattisgarh. He rescued a cup and brought it home and played with the tiger like many of the children do with their toys in modern times. 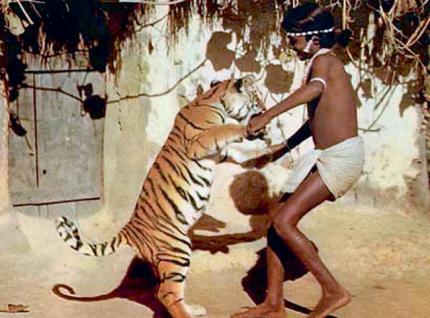 This amazing fact became the talk of the people across the country at that point of time and prompted Swidish film director to visit Bastar to find out the story behind the friendship between a boy and the tiger. Astrid, Sucksdorff’s wife, later wrote a book on the tiger boy titled “Chendru: The Boy and the Tiger” was the best-seller of the time. In the later years of life, Chendru had to lead his life in utter poverty and eventually died last year on September 18 after a prolonged illness. His friend Yeshwant Ramteke said that he had a paralytic stroke. The series of appeals on social networking sites to get support could not save his life. The man who brought not only the region but also the country in the limelight on European celluloid- died as an unsung hero. That’s the stark reality of life! Everybody salutes the rising sun! Click here to know more about my blogs in Hindi. Nice sir....Thanks for your precious information about the Bastar MOGLI. Thank you very much.. I hope you have read my others blogs as well. Quite interesting and sad slso.